The best thing about this time of year is the natural light in the city. It floods in and helps add to the illusion that you have gone back in time. The picturesque setting is ripe and ready for beautiful images and creative inspiration which we are able to put into our travel journals. We are challenged to look at the city with the eyes of an artist, and we are never hard pressed to see inspiration in the light, the weathered plaster, the reflections in the water and the delicate details that surround you. 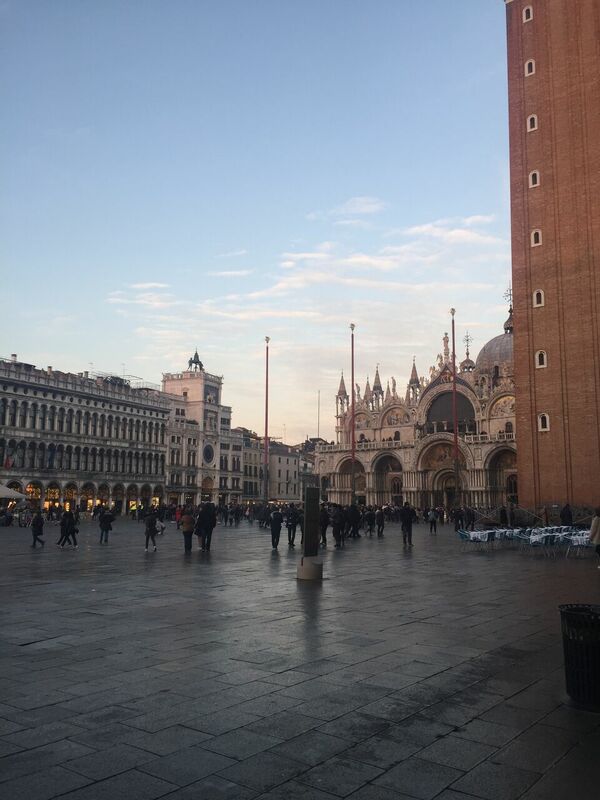 We explored the famed sites of the city, like the Peggy Guggenheim museum and St. Mark’s Square, in addition to taking a gondola ride with some of our lovely guests! 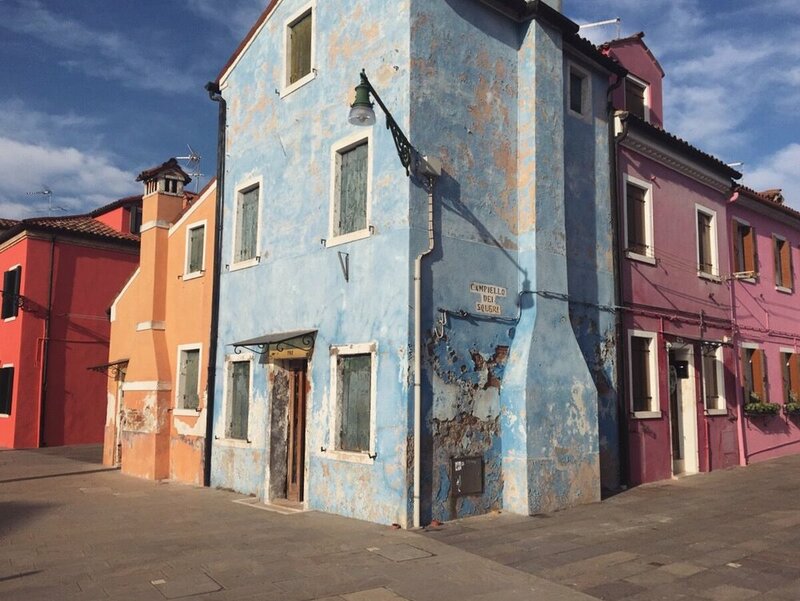 We took a day trip to Burano, which is one of the most picturesque islands in the lagoon. Known for its lace-making and overall pastel beauty—it has some of the most colorful buildings you will ever see! It’s the ultimate Instagrammable location, which gave us great material for photos in addition to a surge of creativity for our travel journals! 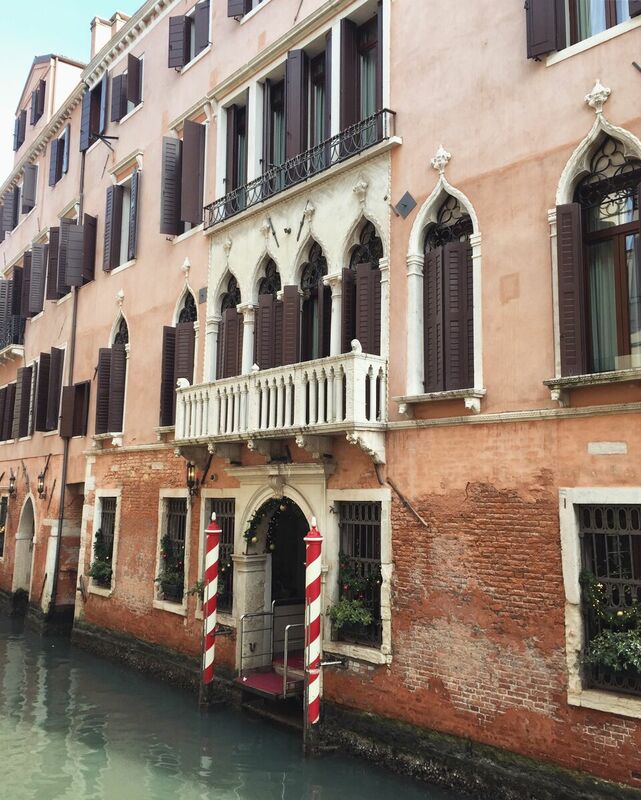 Next, we added something new to our itinerary from past Venetian retreats: a visit to Venice’s only winery! On it’s own little island, reachable by footbridge, this award-winning location houses a small hotel, organic garden, Michelin-starred restaurant, and of course a working winery. It’s a secluded, lovely property, and during our visit they were hosting a beautiful photography exhibition of the people of the lagoon. We enjoyed a bottle of their wine in addition to a tasting lunch with some of the best wines in the region. Of course, the big event for this retreat was the chance to ring in the New Year in a magical place, and Venice did not let us down. We enjoyed a lovely dinner and spent some reflective time as a group, talking about what we wanted to let go of from the past year and what intentions we wanted to set for the future. We always come up with a word and a color that will represent our vision for the next year. After taking time for stillness and incredible conversation, we ventured out to the waterfront. In addtion to being incredibly well organized and calm, the fireworks over the water were stunning and easy to see for the entire crowd. And as quickly as everyone gathered, as soon as they were over, the crowd dispersed, and the city was back to its crisp winter silence.